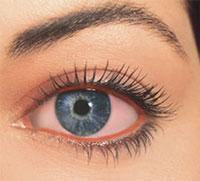 Bacterial conjunctivitis, often called pink eye, typically causes swelling of the eyelid and a yellowish discharge. Sometimes it causes itching and/or matting of the eyelids. Bacterial conjunctivitis is very contagious and can be easily transmitted by rubbing the eye and then infecting household items such as towels or handkerchiefs. It is common for entire families to become infected.Conjunctivitis is an inflammation of the conjunctiva, the thin, transparent membrane covering the surface of the inner eyelid and the front of the eye. The conjunctiva has many small blood vessels. It lubricates and protects the eye while the eye moves in its socket. When the conjunctiva becomes inflamed, this is called conjunctivitis.